Eliza Woodhouse has everything a girl could want: a delightful little beachside flower shop, a loving family, and the best friend a girl could ask for. 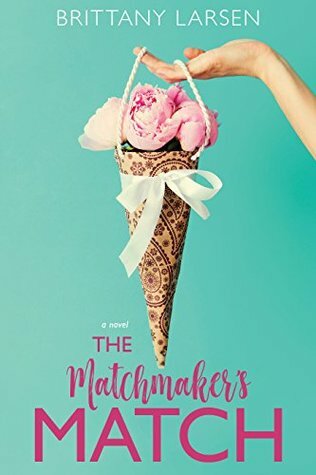 And while she suffers a chronic lack of romance in her own life, the bohemian beauty is a self-proclaimed matchmaker extraordinaire, as evidenced by her recent successes. Having found a fiancé for her sister and a boyfriend for her best friend, she is now taking her lovelorn new employee under her wing. Yes, life is working out quite nicely for Eliza. Until Parker Knightley walks back into her life. After three years in Hong Kong, Parker is in town for his brother’s upcoming wedding to Eliza’s sister. They’ve all known each other their whole lives, and Eliza will never be anything but Little Liza Belle to her handsome childhood tormentor. So the fact that their siblings are getting married simply puts Parker one step closer to becoming the big brother he and Eliza have always joked about him being. But the more time they spend together, the more confused Eliza’s feelings become. Because she has come to the shocking realization that the role of brother is the last role she wants Parker to play in her life . . .
Emily Carter is on the fast track to success when the unthinkable happens: a tragic accident claims the lives of her parents. Now Emily must set aside her dreams and raise her two younger siblings, Annie and Bryce. Emily and Annie are sisters, but that doesn’t mean they are anything alike. Whereas Emily reacts to the tragedy with her characteristic stoic calm, passionate Annie spirals into depression. Just when things seem like they can’t get any more difficult, Emily’s older half-brother and his fiancée arrive not to help, but to claim the family home he’s inherited from their parents. I enjoy Jane Austen adaptations for the most part, except when it follows the original story and dialogue too closely and just changes the setting. Fortunately, that was not the case here, and the details of the story felt new and original while giving a nod to the plot it was based on. Instead of wealth and social class being a hindrance to the romantic relationships of Emily and Annie, it is a difference in religion that prevents Emily from pursuing Joel, while Annie is dealing with the dynamic of having high moral standards and a spotlight on her acting career when Drew sweeps her off her feet. I liked that the ranch Emily inherited provided a way for her to be self-sufficient, even though she had to leave L.A., and it was the renovation projects there that kept her interacting with Joel. The grief Emily and her siblings are still dealing with brings a depth and poignancy to the emotion of the story, and I connected with the feelings of the characters as they navigate the new circumstances they find themselves in. The special friendship Emily shares with Joel is complicated by their chemistry and attraction for each other, and even though I was frustrated with her choices about their relationship, I was glued to the pages to see how everything would come together in the end. This is an LDS fiction novel, and it was definitely written with a Mormon readership in mind. 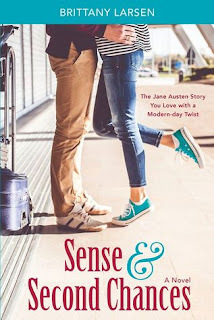 Readers who appreciate clean romance may also enjoy it, but might not understand the significance behind Emily's conflict over starting a long-term relationship with a man of a different faith.